With your child around, every day is going to be colourful. 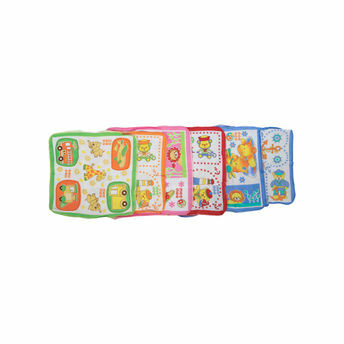 Mee Mee Soft Baby Napkins are gentle and soft on your baby's skin and ideal wipes for the face and other parts of the body. Made from soft, premium cotton, these napkins add an extra dash of rainbow for both you and little one.